International Women's Day is celebrated in many countries around the world. It is a day when women are recognised for their achievements without regard to divisions, whether national, ethnic, linguistic, cultural, economic or political. 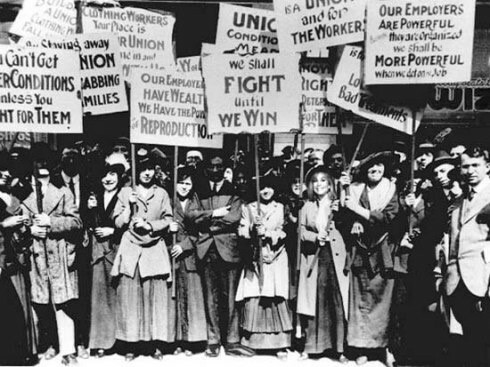 It began as a massive protest by women who wanted better working conditions, better pay, and the right to vote. Since its origin as a form of protest by women requesting better working conditions, it has become an official holiday in over 25 countries. It has evolved into a day of awareness on women's progress in the ongoing fight for gender equality, and a day to address issues across the globe that directly affect women. The history of International Women’s Day has many roots. It has been claimed that it began as a day of memory and protest following a tragic event in New York in 1908. In early March of that year, the workers (all women) at a textile factory went on strike to protest the substandard conditions in which they were forced to work. On the 8th, the owner blocked all of the exits to the factory and set the building on fire. The 129 factory workers trapped inside, for the most part Italian immigrants, all died. A conference of more than 100 women from 17 countries agreed to her suggestion and IWD was formed. In 1911, it was celebrated for the first time in Austria, Denmark, Germany and Switzerland on March 19th.